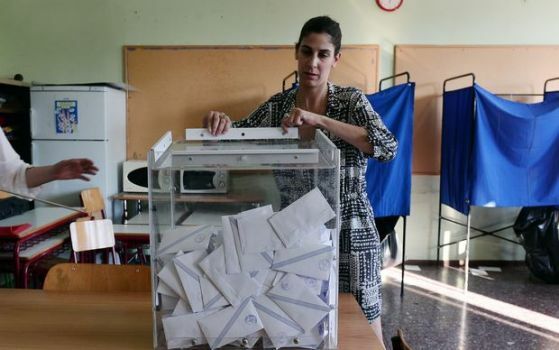 Results published by the interior ministry showed about 60% of those whose ballots had been counted voting “No”, against some 40% voting “Yes”. Greece’s governing Syriza party campaigned for a “No”, saying the bailout terms were humiliating. The “Yes” campaign warned this could see Greece ejected from the eurozone. Senior European officials had also said that a “No” would be seen as an outright rejection of talks with creditors. But Greek government officials have insisted that a “No” vote would strengthen their hand and that they could rapidly strike a deal for fresh funding in resumed negotiations. Euclid Tsakalotos, Greece’s deputy foreign minister, told Star TV that two developments would allow Greece to pursue “a solution that is financially viable”. Withdrawals at cash machines have been limited to €60 (NZ$99) per day. Greek banks will reopen by Tuesday, they say. The country’s current bailout expired last week and Greece missed a €1.6bn ($NZ2.6bn) payment to the International Monetary Fund (IMF). The European Commission – one of the “troika” of creditors along with the IMF and the European Central Bank – wanted Athens to raise taxes and slash welfare spending to meet its debt obligations. Greece’s Syriza-led government, which was elected in January on an anti-austerity platform, said it had been presented with an “ultimatum”. “Should the agreement plan submitted by the European Commission, the European Central Bank and the International Monetary Fund to the Eurogroup of 25 June, 2015, and comprised of two parts which make up their joint proposal, be accepted? The first document is titled “reforms for the completion of the current programme and beyond” and the second “Preliminary debt sustainability analysis”.